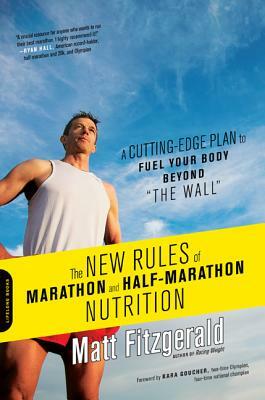 A nutritionist and lifelong runner, Fitzgerald (The Endurance Diet) combines his expertise and experiences in this inspiring memoir that charts his desire to run eight marathons in eight weeks. 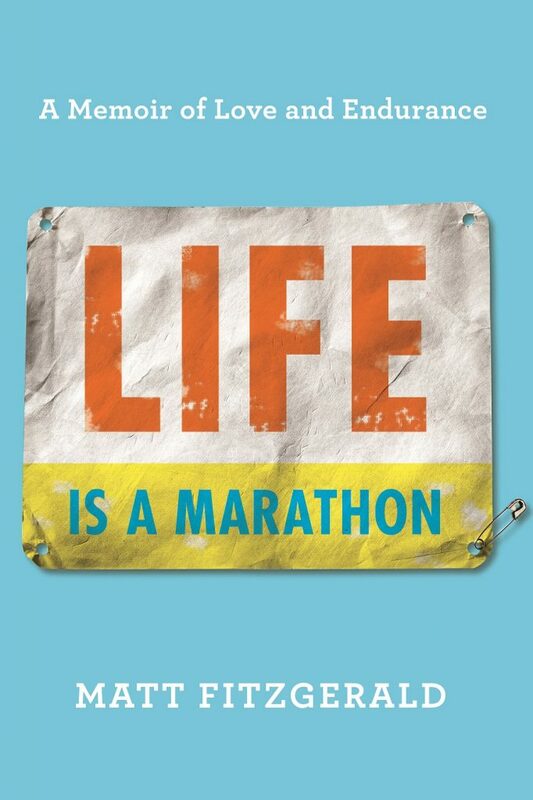 While runners and athletes will find much inspiration and metaphor, as Fitzgerald opines that “To run a marathon is to practice life and to practice for life,” it’s the story of his wife, Nataki, who suffers from bipolar disorder, that is the book’s heart. Chapters alternate between Fitzgerald’s marathons and his courtship of Nataki, culminating in a pained discussion of her bipolar disorder. Fitzgerald treats the topic with empathy, and the narrative of their relationship and his care for her—filled with anecdotes about manic episodes and attempts at treatment—will ring all too familiar to those who have firsthand experience with the mental illness. Yet through it all, Fitzgerald provides a positive and encouraging message—for runners and for those suffering from mental illness. 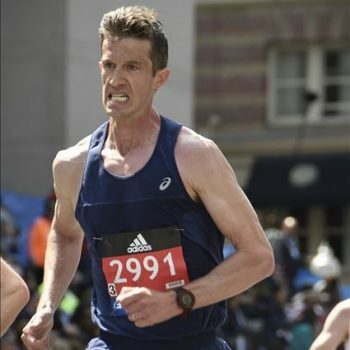 Fitzgerald, who has written widely on running, diet, and exercise, recounts how, in high school, just as he was about to participate in a race, his nerves took over and he decided not to run. For years, he was haunted by this failure, but as an adult, he decided he had to race in order to confront his fears. In a straightforward, steady narrative, he shares his interviewees’ insights alongside his own. 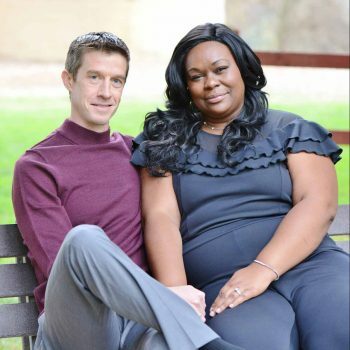 The tempo and adrenaline amp up when Fitzgerald intertwines these stories with that of his wife, Nataki, a bipolar woman whose psychotic breaks led her to attempt to kill the author on several occasions. Despite these frightening episodes, Fitzgerald continued to hold on and get her the help she desperately needed. By sharing this personal and traumatic part of the story, the author pushes his memoir beyond just another tale of an obsessed runner. A breakthrough program for triathletes–beginner, intermediate, and advanced–showing how to balance training intensity to maximize performance–from a fitness expert and elite coach. Cutting-edge research has proven that triathletes and other endurance athletes experience their greatest performance when they do 80 percent of their training at low intensity and the remaining 20 percent at moderate to high intensity. Matt Fitzgerald has spent nearly twenty years studying the diets of top professional endurance athletes, who are among the fittest and healthiest people in the world. 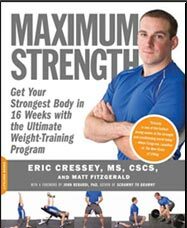 As a result, he has identified five core habits that are essential to maximizing workout benefits. 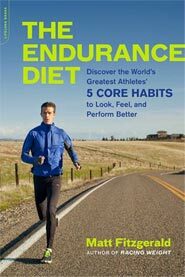 The Endurance Diet shares key strategies for optimal health and performance: eat everything, eat quality, eat carb-centered, eat enough, and eat individually. 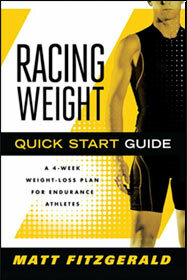 Whether you want to lose weight, win a race, or look a little more like an elite athlete, this plan is for you. 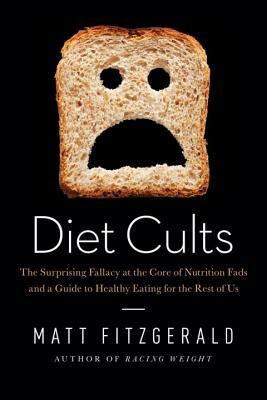 In his provocative book, bestselling author Matt Fitzgerald exposes the fallacy upon which nearly every popular diet is based–the mythical notion that there is only one right way to eat–and reveals how to develop rational, healthy eating habits for a lifetime. The greatest athletic performances spring from the mind, not the body. Elite athletes have known this for decades and now science is learning why it’s true. In his fascinating new book. 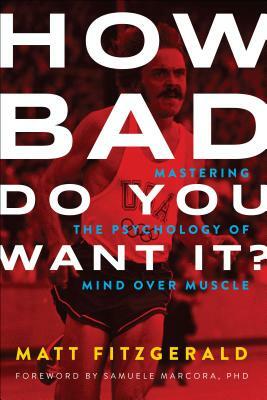 How Bad Do You Want It?, Matt Fitzgerald examines more than a dozen pivotal races to discover the surprising ways elite athletes strengthen their mental toughness. It takes more than proper training and smart pacing to avoid the dreaded “wall” in a marathon or half marathon. You also need a cutting-edge nutrition plan to guide you from the first day of training through the last mile of the race. Who better to create such a plan than Matt Fitzgerald? 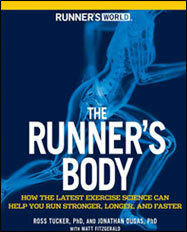 This book is indispensable for all runners who participate in longer events. New research proves that runners of all experience and ability levels improve most when they do 80 percent of their training at low intensity. Yet the typical recreational runner does less than half of his or her training in this intensity zone. In 80/20 Running, Matt Fitzgerald makes the case for slowing down to get faster and shows runners how to break out of the moderate-intensity rut. 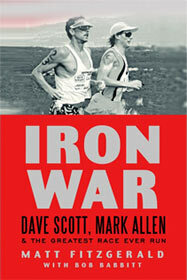 The gripping, untold story of the incredible 1989 showdown between legendary rivals Dave Scott and Mark Allen at the Ironman World Championship. Iron War is not only a page-turning sports thriller but also a fascinating portrait of two unique and polar-opposite champions. 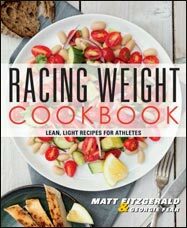 Racing Weight Cookbook delivers more than 100 flavorful, easy recipes for athletes that will help you hit your ideal weight without compromising your performance. Whatever your training demands, Racing Weight meals make it simple to dial in the right mix of carbs, fat, and protein and satisfy your appetite. Put high-quality, well-balanced meals on your table in as little as 15 minutes with time-saving tips for food preparation and grocery shopping. Each runner is unique. You can only get so far as a runner by following cookie-cutting training plans. To become the best runner you can be you must master the mind-body connection and learn what works best for you. 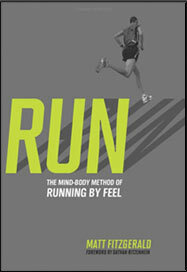 RUN shows you how to do that through the examples of mind-body running masters such as Joan Benoit and Haile Gebrselassie, as well as fascinating new research on the role of the brain in exercise. This best-selling guide to performance weight management for cyclists, runners, triathletes, and other endurance athletes has been fully revised and update to provide more powerful results than ever. Achieve your optimal racing weight with Matt Fitzgerald’s exclusive six-point system. The compelling story of “Ultramarathon Man” Dean Karnazes’ greatest feat. 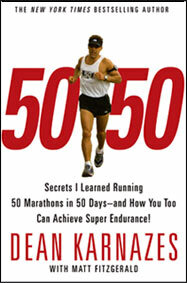 Not just an exciting narrative, 50/50 is full of practical wisdom for runners of all levels. You can’t maximize fat loss and fitness gains at the same time. As an endurance athlete, the best time to maximize fat loss is before the start of serious training for a big race. 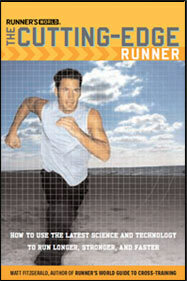 This book will guide you step by step through this critical “quick start” phase of the overall training process. The more you know about how your body works, the better you will run. The Runner’s Body provides an engaging education on how the body functions during running and adapts to running, from head to toe. 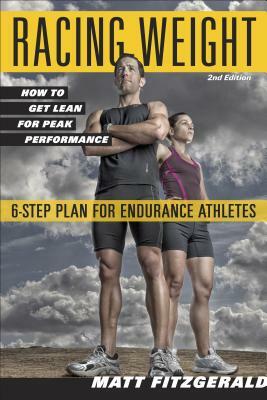 The first and only comprehensive guide to weight management for endurance athletes. Based on solid science and the real-world practices of the greatest endurance athletes, the Racing Weight plan will make you leaner and faster. Every runner needs a training log. 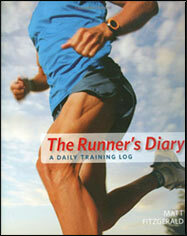 Featured in The New York Times, The Runner’s Diary is the best training log you can find. Learn how to get the most out of your speed and distance device or heart-rate monitor. 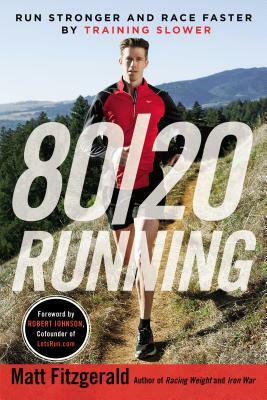 If you’re a runner who likes gadgets, you will love this one-of-a-kind book. Stop trying to lose weight. Start trying to lower your body fat percentage. 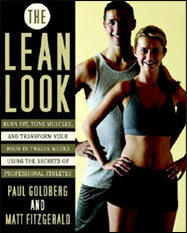 The Lean Look presents the first diet and exercise program designed specifically to reduce body fat percentage. 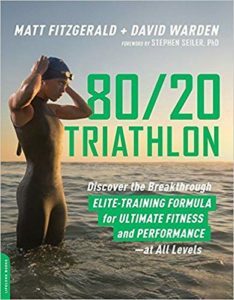 Thousands of triathletes of all levels call this book their Bible. 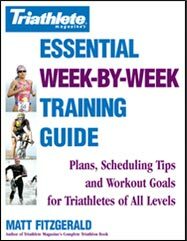 It contains 42 complete training plans for triathlons of all distances and even the off season. Pick one that’s right for you and race better than you ever thought you could. Successful training is one part planning and one part improvisation—because nothing ever goes as planned. 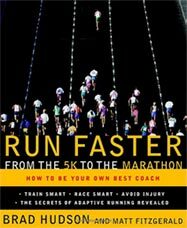 In this book, elite running coach Brad Hudson, with help from Matt Fitzgerald, shows you how to master both sides of the equation. Running is a simple sport, and runners like it that way. But as coaches like Alberto Salazar have shown, smart use of science and technology enables runners to perform better than they ever could if they ignored it. The Cutting-Edge Runner will show you how to get the most out of running-related science and technology without spoiling the simplicity of running. New research in exercise science has proven that the limits of running performance lie in the brain. 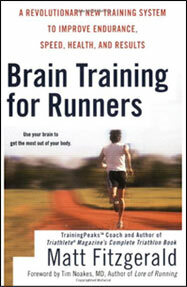 Featured in The New York Times, Brain Training for Runners explains this amazing science in easy-to-understand terms and shows runners of all levels how to take advantage of the new brain-centered model of running performance to become better runners. 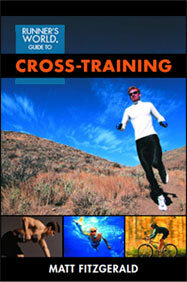 Cross-training has become an integral component of the training of elite runners. Are you cross-training? 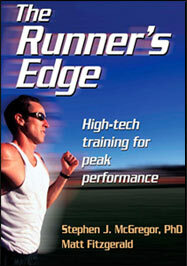 If you are, are you cross-training with the methods that have been proven most effective by elite runners? If your answer to either of these questions is “no,” read this book! Diet is the weak link for many runners. Is it your weak link? 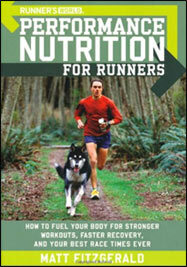 It won’t be after you read the first and most popular nutrition guide written specifically for runners. This is the ultimate introduction to the sport of triathlon. 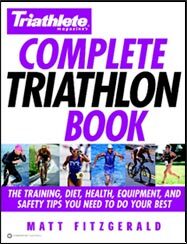 The first book to bear the imprint of the world’s largest and most trusted triathlon magazine leaves no question unanswered for the beginner.